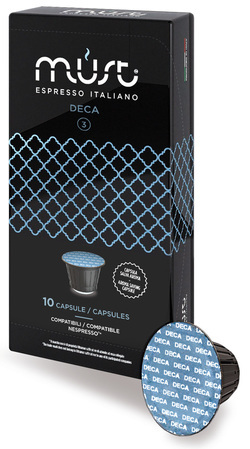 Bay Beans Decaf coffee capsules for Nespresso are decaffeinated by the all natural water process. This coffee bean is a full bodied quality Colombian coffee coffee bean, keeping the full coffee taste, without the caffeine . Buy Bay Beans Decaf coffee capsules for Nespresso.